Idiyappam/Sevai is a famous south indian breakfast. We can make varieties in sevai. This one is Lemon sevai/Lemon Idiyappam. 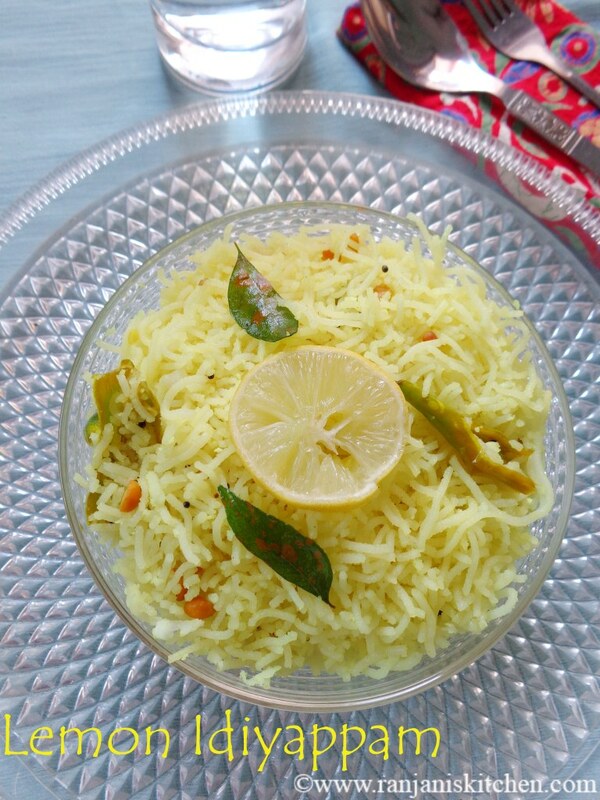 I can say it’s a perfect start of the day.This is very simple and easy to prepare.Though we prepare lots of varieties in sevai,Lemon version is the most preferred by everyone. We can make 3 more varieties at a time if guests arrived. Vegetable stew and chutney is a best accompaniment for this dish. It makes a wholesome meal with onion raita.The fans of lemony flavours and traditional recipes must love this recipe 🙂 yes me too 😉 . Lets move on to very light on appetite and quick handy recipe. Sieve rice flour thoroughly. Boil the required amount of water to bubble stage. 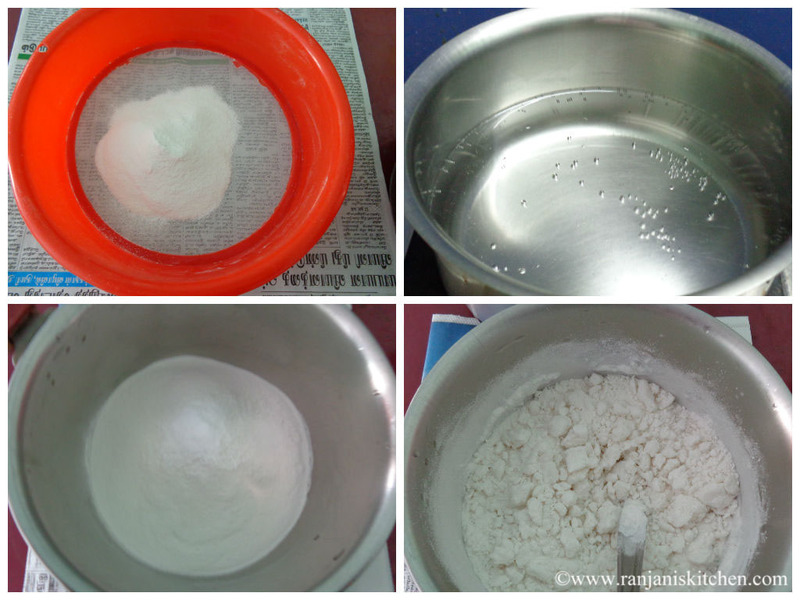 Mix rice flour and salt together.Add water little by little to rice flour and make a soft dough. Make as medium balls. 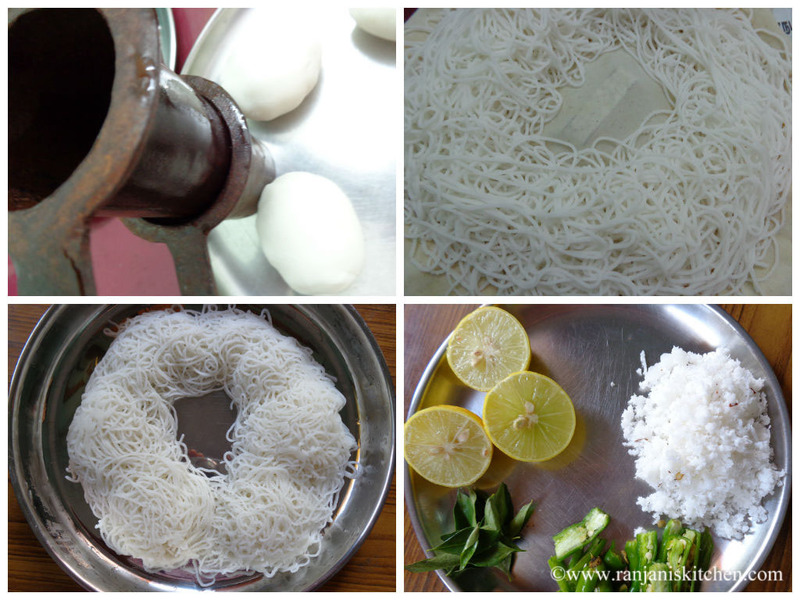 Use omapodi achu to make idiyappam. First grease achu using coconut oil. 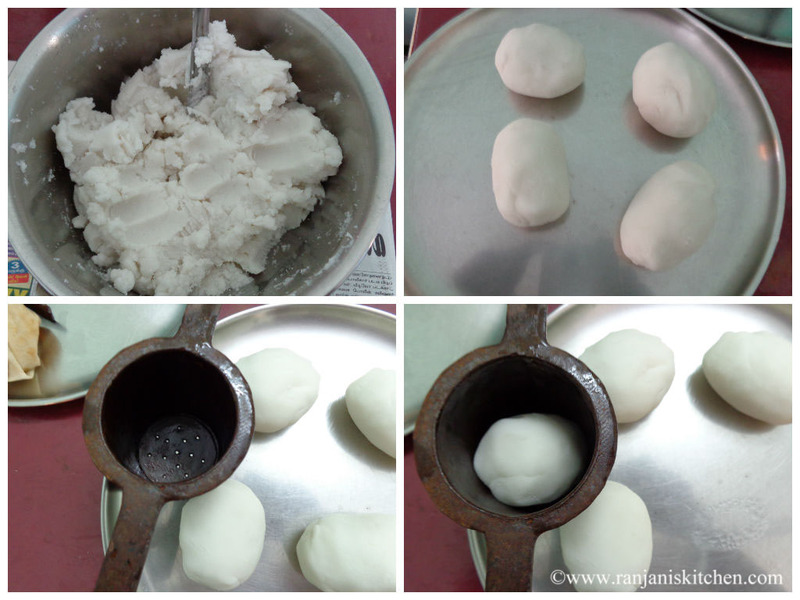 Then place the rice dough and press to make idiyappams in idli plate. Steam it for 4 mins. Then let it cool for sometime and shred it. Now prepare lemon mix. Heat a pan and pour coconut oil. Temper with mustard, urad dal, channa dal ,Hing, green chillies and curry leaves one by one. Then add squeezed lemon juice from 3 cups. Once it starts boiling , add turmeric powder and salt. Give a quick stir and switch off the stove. 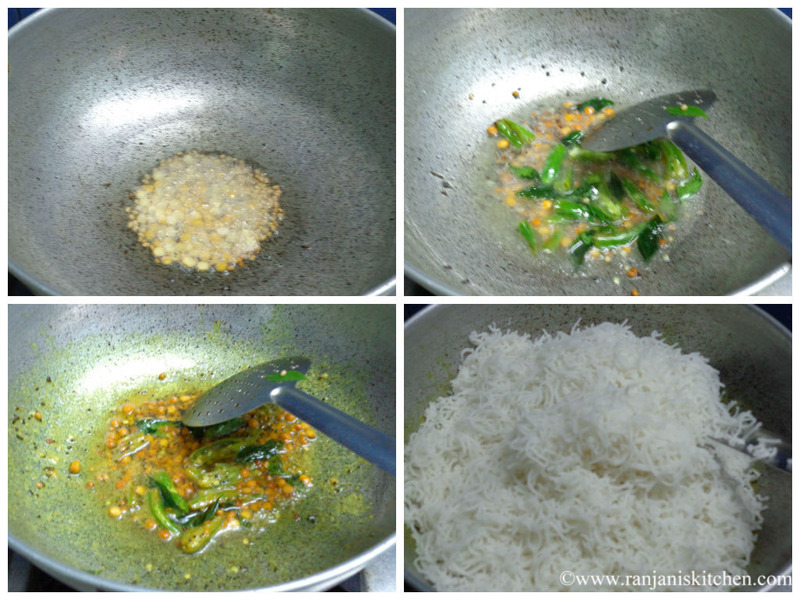 Now add the shredded sevai to the mix.Mix well and finally add coconut. Mix both to incorporate. Serve with chutney or vegetable stew. We can use home made rice flour or store bought. I prefer home made only. You can add Peanuts also. It’s a nice combo with lemon. Adding coconut is optional only. Without coconut also it taste good. Delicious lemon sevai you made from scratch that is wonderful. 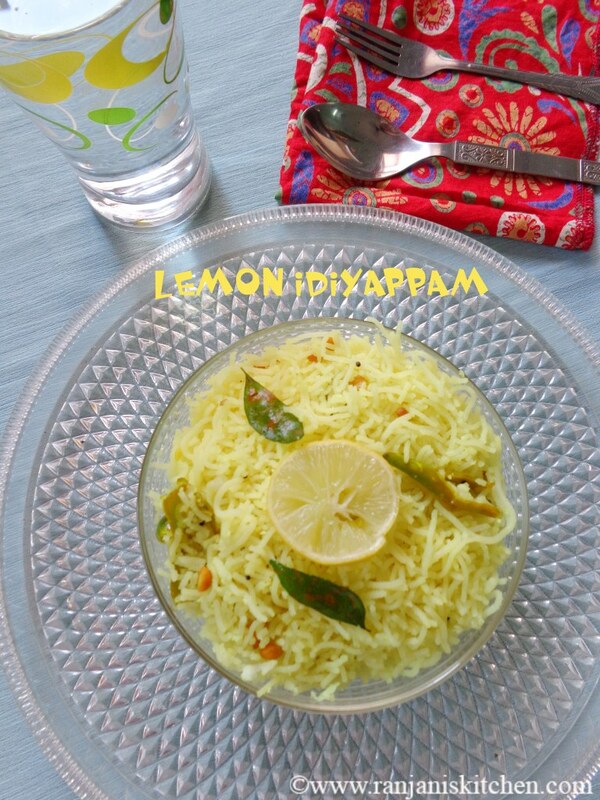 I usually make lemon sevai with store bought packet. Thank u Swathi :)Yes, store bought ones are good nowadays.. Absolutely tasty and yummy ! !